Join the Raptor Trust for “Owls in the House,” a family program and workshop, on Saturday, February 16, 2019, at 1:00 p.m. 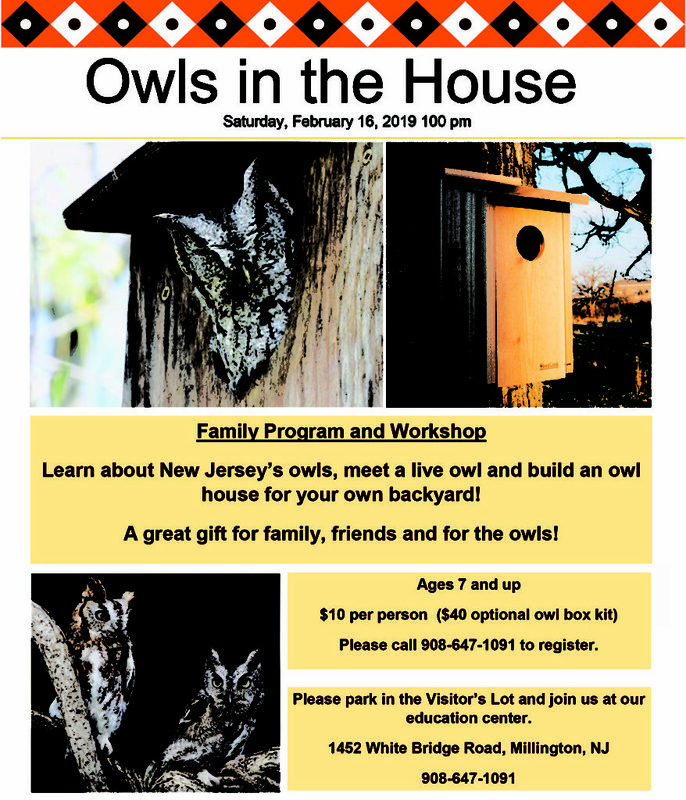 Learn about New Jersey’s owls, meet a live owl and build an owl house for your own backyard! A great gift for family, friends and for the owls! The program is for ages 7 and up. The cost is $10 per person, $40 for optional owl box kit. Please call 908-647-1091 to register or for more information.